By all accounts, I should have liked this book. It's a genre I like, and had all the elements that should have made it into something I like, but it just didn't come together for me. I actually considered giving it a 2 star rating, but that seemed a little harsh. Judd, the narrator of the story, was a likeable enough character, but he was surrounded by too much unpleasantness and dysfunction. All the other characters in the novel seemed like caricatures, not people. 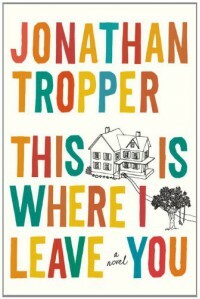 Mr. Tropper went out of his way to heap every sort of insult and humiliation on Judd, describing each in nauseatingly excruciating detail. I began to cringe each time I sensed a new revelation coming, because I knew how painfully blunt and verbose Mr. Tropper would be in getting his point across. After raking Judd (and the reader) through the coals, there was very little payoff in the end. The story ended with a bit of a whimper.